President-elect Vladimir Putin says Astrakhan’s losing mayoral candidate should go to court with his complaints over rigged elections, rather than staging protests and hunger strikes. “If the violations are such that the results of the election can be called into question, then the court must order the cancellation of these results. But if the court finds no grounds for such a move, then they [the candidate’s supporters] should agree with the results,” Putin said when addressing the Lower House with his final report as prime minister. Putin added that the fact that Oleg Shein went on hunger strike without actually trying to contest the election results in court was strange. 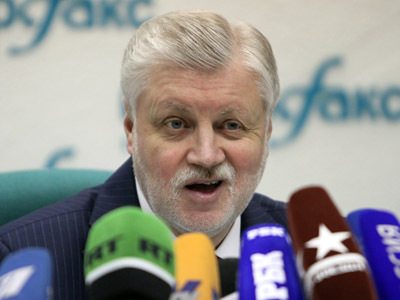 Earlier this week, Vladimir Putin’s press secretary Dmitry Peskov said that the president-elect is fully informed about the situation in Astrakhan, but that any questions about a possible rerun lie within the competence of the election and court bodies. A day later, a top official of Russia’s Central Election Commission announced that the recent mayoral ballot in Astrakhan should not be annulled despite the protests and hunger strike by the losing candidate. 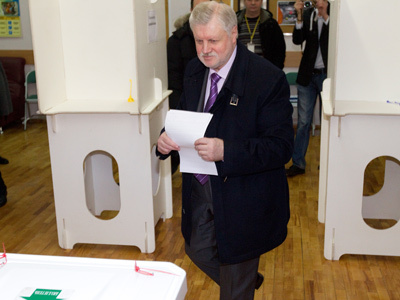 "The CEC does not see any grounds to initiate the procedure to annul the results of the mayoral election in the town of Astrakhan," Interfax news agency quoted deputy head of the commission Leonid Ivlev as saying. The official added that Oleg Shein can appeal to the court himself or ask his party Fair Russia to do so. The deputy head of Russia’s main election body also gave additional details about the Astrakhan scandal. Ivlev said that the official complaint from Shein arrived only on March 26, over three weeks after the poll. After the complaint arrived, 11 procedural checks were conducted, which looked at documents at 130 ballot stations, but only one inspection confirmed that there had been four cases of violations. The member of the leftist Fair Russia lost the mayoral election to United Russia’s Mikhail Stolyarov with roughly 30 per cent against 60. Shein’s election team announced that the poll had been held with numerous violations. 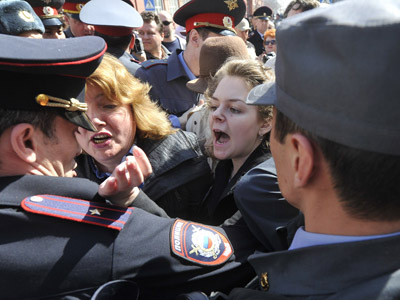 Together with a dozen supporters, Shein went on hunger strike on March 16, after Stolyarov officially took the mayor’s office. 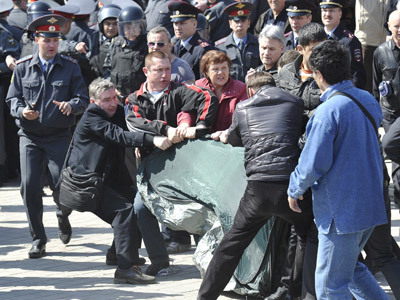 This week, Fair Russia and other opposition parties and movements organized a protest in Astrakhan, but both media and police say only some 30 people were present. Law enforcers kept the protesters from entering the office of the local election commission and detained several people. Fair Russia has attempted to raise the Astrakhan scandal at a State Duma session, but the Lower House refused to consider the issue.